The bill - labeled Senate Bill 1 - is a top priority for Democrats in Concord, who tried unsuccessfully to pass a similar measure last session. While last year’s bill cleared the House with bipartisan support, it failed along party lines in the Senate after Gov. Chris Sununu voiced concerns about the price tag. Democrats now control both chambers in the legislature. 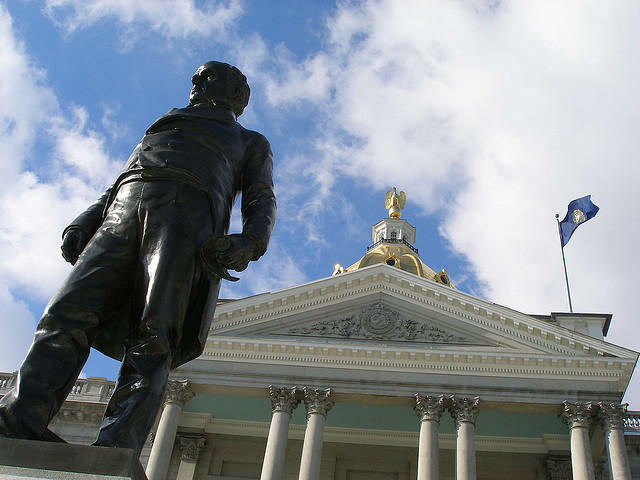 They'll likely vote on competing measures this session, as Sununu is preparing to release a second paid family leave plan that he says removes any risk from taxpayers. SB1 calls for up to twelve weeks of paid leave at up to 60% of a worker’s salary. Employees could use the benefit for the birth or adoption of a child, to take care of a sick family member, or to manage their own serious illness. It would be paid for with a .5% payroll tax, covered by an employer or passed along to the worker. Unlike last year’s version, there is no “opt out” option for employees. The Democratic-backed plan also would seek to hire an outside company to manage the program. Feltes called the measure “actuarial sound,” and pushed his colleagues on the Finance Committee to support it. During Tuesday’s hearing, the bill faced skepticism from GOP lawmakers and activists. “It is an income tax, plain and simple. Page two, line 35, right there in black and white,” said Senator Chuck Morse, referring to the language in the bill spelling out the tax on wages. He also bristled at the bill’s “one size fits all” approach. Sununu rolled out his plan - the Twin State Voluntary Leave Plan - earlier this month alongside Vermont’s Republican Governor Phil Scott. That plan would enroll nearly 20,000 state employees on both sides of the Connecticut River in a privately run policy. Employees in both states would have the option of purchasing their own paid family leave coverage, or an employer could choose to offer it as a benefit. Democrats say the governors’ voluntary Twin State plan will fail to attract a large enough pool of participants, which will drive up premiums and shut out the low-income workers who could benefit from paid leave. Sununu hasn’t released details of the Twin State plan yet. The legislation would need to clear Democratically-controlled legislatures in both states. Correction: An earlier version of this story said the size of the payroll tax is .05%. The correct level is .5%. New Hampshire Gov. Chris Sununu and Vermont Gov. Phil Scott announced a joint plan Wednesday to bring voluntary paid family and medical leave to the two states. The two Republicans chose to make the announcement at Schilling Beer Co. in Littleton, a company near the state border that employs residents of both New Hampshire and Vermont. Despite a last-minute push by supporters to save the bill, the New Hampshire Senate voted along party lines — 14 Republicans to 10 Democrats — to send a proposed paid family and medical leave program for further study.